First spread – text presentation. Second spread – the text structure of the text type is deconstructed using colour-coding. Teacher Focus notes are provided at the top right-hand side of the spread, highlighting key teaching points and questions. Third spread – selected language features of the text type are highlighted. Teacher Focus notes are provided at the top right-hand side of the spread, highlighting key teaching points and questions. 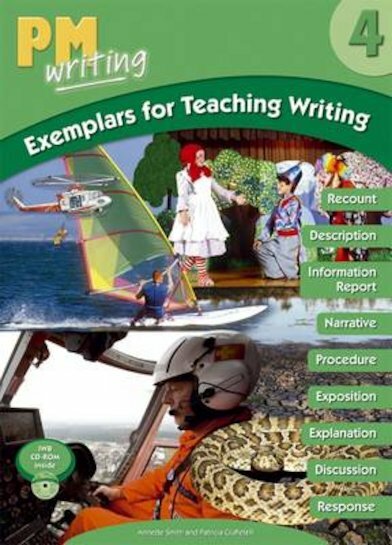 PM Writing 4 Exemplar for Teaching Writing big book also comes with a USB inside.